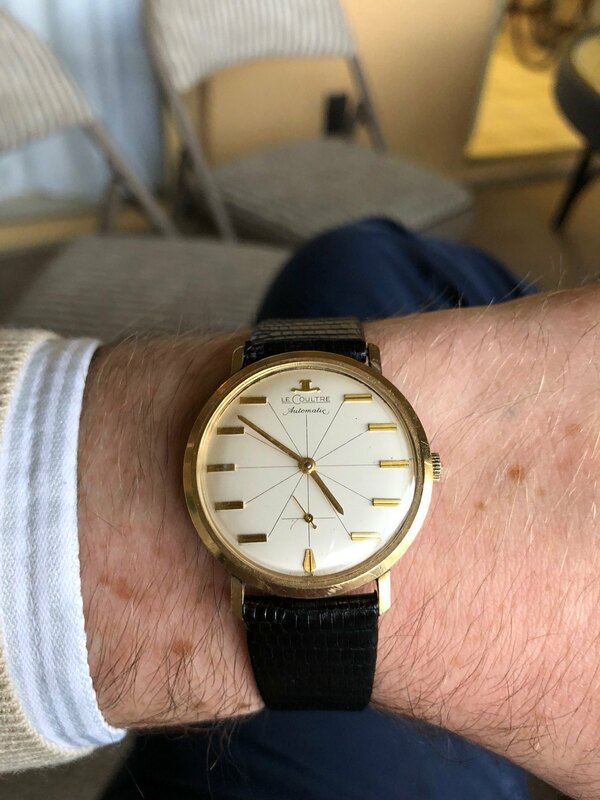 My grandfather passed away recently and left me this JLC watch. I've posted it on a few forums and done some searching online but I can't find any info about this particular model. It's similar to some models I've seen but it has a few key differences (like the JLC logo where the 12 o'clock marker should be and the lines to each hour marker) that are making it hard for me to identify. It is marked "Swiss" underneath the 6 hour marker and on the caseback it says "10k G.F. bezel" and "Steel Back D&A". Any insight you can give me would be very much appreciated. Thanks! Well, it's a watch made for the USA market, with a USA made case. I don't know the model name, if any. The movement most likely in there is from the caliber 480 family of movements.